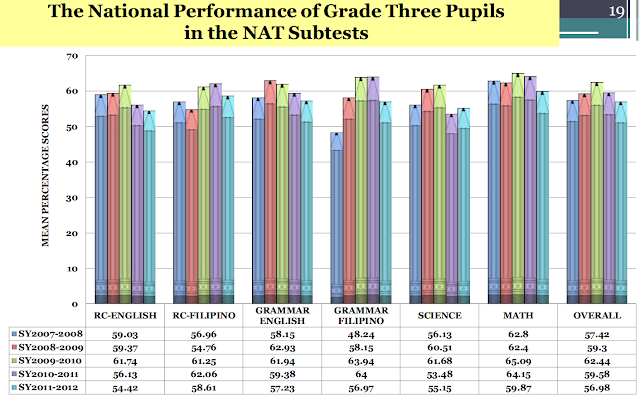 Holes in education, who is responsible, DepEd or the local government? "While decentralization has many advantages, its downsides are easily overlooked. For one thing, it will exacerbate parochialism and turfism which carry the danger that local issues and concerns will take precedence over the larger interests of society and of the community. Successful implementation requires extensive networking arrangements and joint, multi-sectoral decision making. In the past, consortium arrangements and other forms of collaboration and team effort have failed. o Differences in status and authority which hinder meaningful debates and the free flow of information"
"Who is in charge of kindergarten teacher compensation? 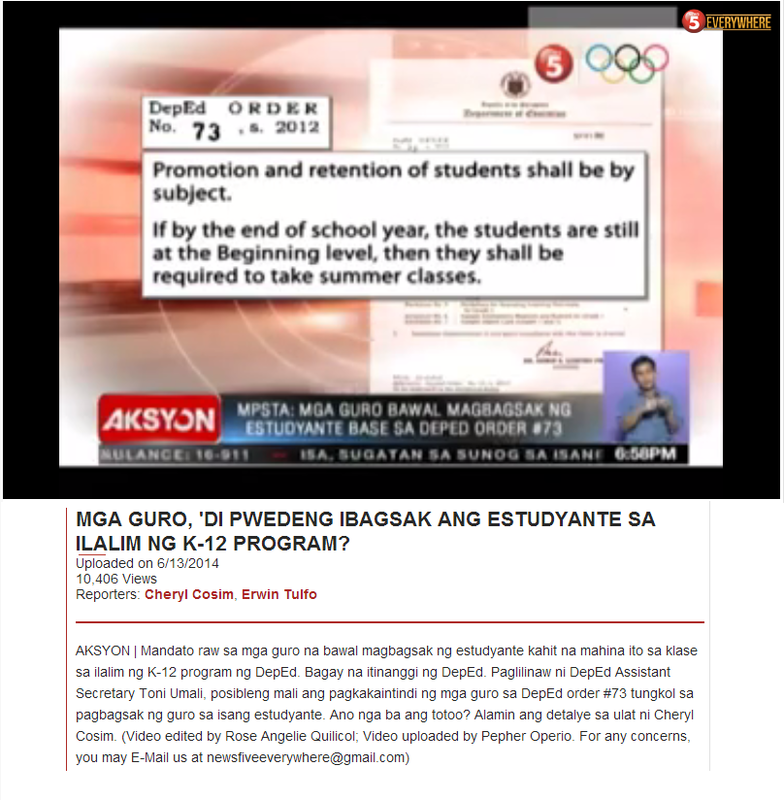 The LGU o DepEd? DepEd is the main agency that employs and pays kindergarten teachers. There are LGUs that help in the kindergarten program and provide honoraria for kindergarten teachers." "We also have the support of local government units and private partners in terms of infrastructure. (1) Private partners can donate through our Adopt-a-School program that provides them a 150 percent tax rebate for their contribution. (2) Individuals and institutions can take part in the TEN Moves! Campaign to build 10,000 classrooms by donating P10 per day for ten months. (3) LGUs can follow the front-loading scheme using their Special Education Fund as collateral and the allocation as amortization. (4) For teacher items, LGUs also help by hiring qualified teachers for our public schools and paying honoraria for them." A. FUNDING OF REPUBLIC SCHOOLS Sec. 34. National Funds. — Public school shall continue to be funded from national funds: Provided, That local governments shall be encouraged to assume operation of local public schools on the basis of national fund participation and adequate revenue sources which may be assigned by the national government for the purpose. Sec. 35. Financial Aid Assistance to Public Secondary Schools. — The national government shall extend financial aid and assistance to public secondary schools established and maintained by local governments, including barangay high schools. Sec. 36. Share of Local Government. — Provinces, cities and municipalities and barangays shall appropriate funds in their annual budgets for the operation and maintenance of public secondary schools on the basis of national fund participation. "The Secretary of the Department of Education shall ensure that resources appropriated for the field offices are adequate and that resources for school personnel, school desks and textbooks and other instructional materials intended are allocated directly and released immediately by the Department of Budget and Management to said offices." "....Luistro should resign for implementing the K+12 because he knows that he is only fooling the people. He is lying when Luistro said kaya sa DepEd ang additional teachers ug classrooms and other needs for K+12,” the vice mayor said. "At present, the menu of items on the 20% Development Fund do not include education. We are using money from the General Fund to support the Day Care Centers: feeding program, school supplies, remuneration of Day Care teachers, etc. So, if education will be included in the 20% DF it will just be money from one pocket to another. But if we will be mandated to use the 20% DF in addition to the Special Education Fund to support the K to 12, that's another story. Unless Education will be devolved meaning LGU's will have the power to hire and fire teachers." Hiring and firing teachers? Would heads of local governments really have the competence and knowledge required to manage school personnel? Why should this power be attached to the responsibility of supporting education in their communities? "....I learned much while observing the dynamics and interaction among the Local Government Officials during our workshops. The Local Government Units play a vital role in ensuring success of the program. Unless local chief executives step up to the plate and take the lead in improving the basic education of the children in their communities, then much of the plans will result in shambles. The lack of facilities and teachers is a perennial problem. Whether or not the law came into full implementation, the complaints would have been the same. We have constantly been hearing of a lack in political will among local leaders in order to make things happen. 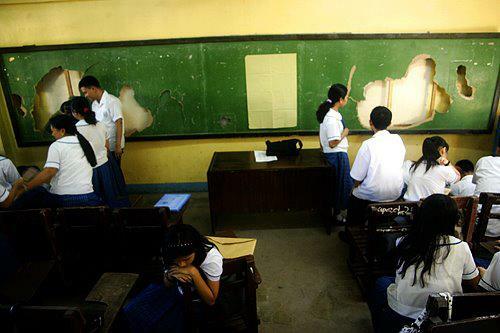 We all know that this is the necessary ingredient to improve the basic education of Filipino children. If we want a better nation, then we should be more critical of the local officials in our area. Those elected into office have an obligation to encourage community involvement in line with practicing good governance. How much value do these officials give to education? If this does not sit in the community’s list of priorities, then maybe you should re-assess the criteria that you have for choosing public officials. Lastly, let us be more active as a citizenry in shaping a better future for our youth. Perhaps it is time that we shift the focus to the community’s will to participate especially because we have seen the political will to implement. The most important take-away that I picked from the workshops; it truly takes a community to educate a child." From a distance, it is really confusing. And it is probably even more confusing on the ground. And here, we are simply asking the question of who is responsible? We have not even asked the question whether what we are doing for education is correct or not.